Filipinos loves everything that is fried. Aside from being sinfully satisfying, it is one of the easiest to consume with your bare hands. In Makati again, I've tried Fritoss for the very first time together with Zomato foodies. They got everything fried. The food that they offer is a great snack that is perfect for that crispy cravings. The stall can be located instantly. 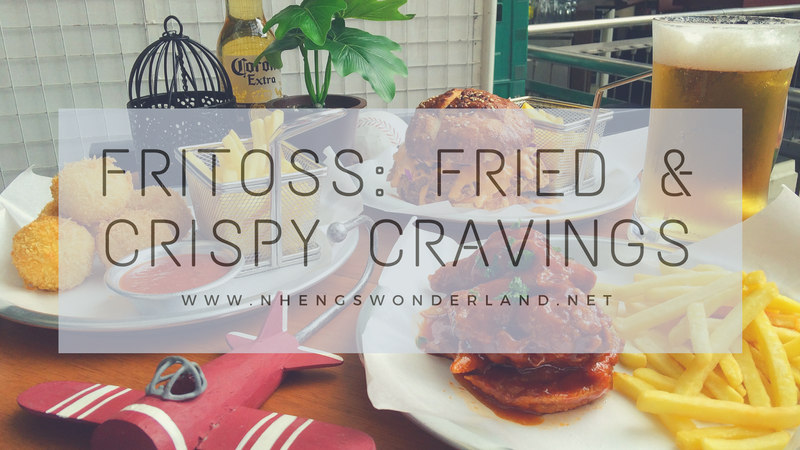 Fritoss is near Greenbelt 3's Cinema at the 3rd floor. It has an open area where you can see the staff cooks. Squid rings and breadcrumbs, deep-fried and served with dip of choice. American cheddar and mozarella cheese deep-fried to golden-brown balls fir that double delight in every bite. Best with marinara dip. They got me on this! I can eat all of these by myself! All mine! Gourmet meat blended with onions, herbs and spices rolled into balls; seared then deep-fried for that rich meaty taste. Served with fries and dip of your choice. Perfectly deep-fried to crispiness chicken wings coated in their savory homemade salted egg and cream sauces. Perfectly deep-fried to crispiness chicken wings coated in theie savory homemade truffle sauces. Breaded chicken deep-fried to perfection, slaw and pickles, drizzled with sriracha mayo on pretzel bun. If you don't mind messy eating, go eat this with your bare hands. A bit of spicy but it was tolerable. Whether with a date, movie time and with the family or friends, Fritoss is one of the many choices where you can have a cheat-day and once in a while have that cravings you've been longing to indulge.